Until 2006 Debbie worked at Oxford University Department of Psychiatry, where she specialised in therapy and research into eating disorders. She combined this with increasing involvement with the aid & development sector and Christian mission partners. She has been particularly active in research and training as well as offering her services in debriefing, providing therapy, supervision and on-field support. She is a board member of the Global Member Care Network and a trustee for Xenos (a charity for ‘Third Culture Kids’). Debbie has travelled to over 25 countries to provide training and consultations for local and expatriate staff. 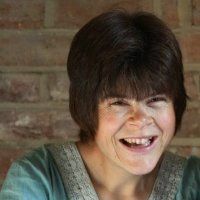 She is an author of seven books, including the People in Aid Publications ‘Supporting staff responding to disasters: Recruitment, briefing and on-going care' and 'Debriefing aid workers and missionaries: A comprehensive manual'. She and her husband David have also written three on-line modules relating to national staff and stress. Debbie and David are mission partners, supported by St Aldate’s church in Oxford.